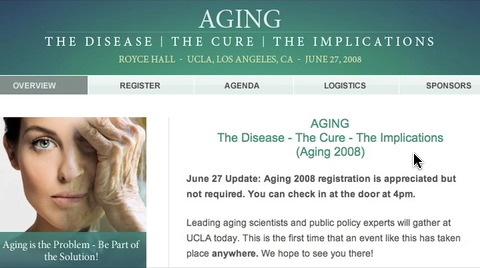 On June 28th Dr. Laura Briggs of Sierra Sciences talked at the Aging 2008 Conference in UCLA on "The Struggle to Keep our Telomeres Long." One basic quality of human life is that every time our cells divide the tips of our chromosomes get shorter. This shortening of telomeres may be the molecular clock of aging. Indeed, the shortening of telomeres has been shown to be the trigger that induces senescence of human cells grown in culture; whether this can be extrapolated to include human organismal aging itself is not yet known. The correlation between telomere length and age is very strong and shorter telomeres directly correspond to shorter human life expectancy, but "cause and effect" are still debated. Finding ways to prevent telomere shortening could be an ideal way to address these issues and answer the question once and for all: Does prevention of telomere shortening extend our lifespans? It is unfortunate that anything that is done to extend the lifespan of our cells will also extend the lifespan of our cancer cells. Excision of the telomerase gene and genes involved in the "Alternative Lengthening of Telomeres" (ALT) pathway is one way to overcome this cancer issue. 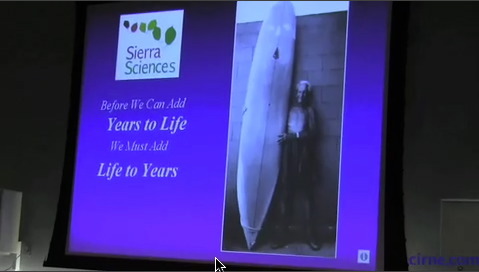 But our lifespan will be limited more than ever by the length of our telomeres. This leaves us with the irrefutable conclusion that we will be unable to significantly extend our lifespans without finding a cure for cancer that doesn't limit our ability to extend the lengths of our telomeres. In hopes that the cure for cancer will be forthcoming, several biotech organizations and academic institutions have accepted the challenge of finding ways to prevent telomere shortening by transiently inducing the activity of telomerase. The purpose of this presentation will be to review the current progress, including the recent discovery of several small molecules that induce telomerase activity in normal human cells. 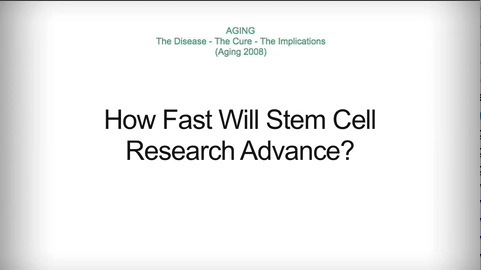 During the panel at Aging 2008, Michael West, Gregory Stock and William Haseltine respond to how quickly stem cell research is expected to produce results. 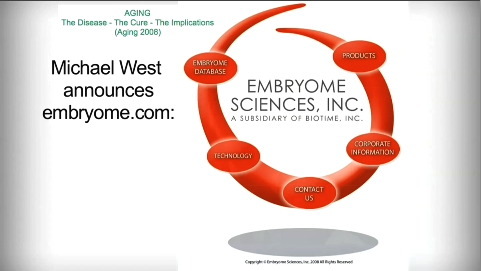 During the panel discussion at Aging 2008, Michael West announced embroyone.com. A wikipedia or database for stem cell research. I went to Los Angeles on Friday, June 28th for the Aging 2008 (and Understand Aging) conference. This is a look around UCLA Royce Hall before the conference. Just got back from the Understanding Aging conference. I'll soon have some video up here. And will announce a new on near future predictions where more of this type of material will exist. 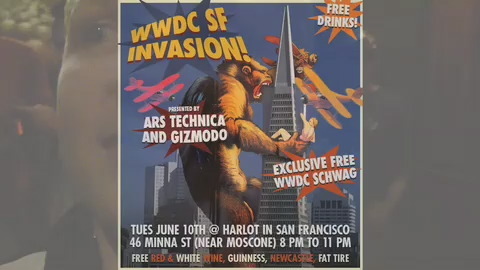 The Ars Technica & Gizmodo WWDC Party on June 10th at Harlot. I respect Richard's personal ethic to share all code that he's written. I disagree with him imposing his personal ethics and methods on others. Not everyone else has the same needs and requirements with software and other products as Richard. 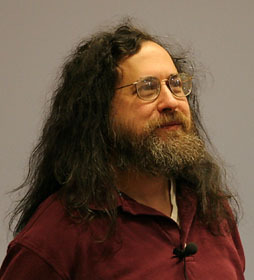 Many do not want to and will not modify computer code. More essential, an exchange of work performed is a contract between two or more individuals. It's a negotiation where both parties find the best agreement for a product. In the future some or all of the Flash source code may be available. And it is likely available on a negotiated basis. But to require only one method of disseminating coded takes away the freedom to distributing and negotiating work. That is unethical. I arrived at iPhoneDevCamp Saturday, June 7th, mid-afternoon. I walked through shooting people intently working on their hacks. On April 20th JPG Magazine threw a party at SFAC Gallery. 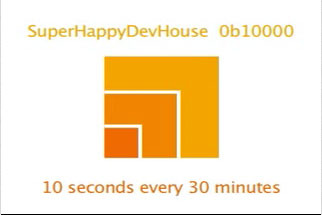 Video of SupperHappyDevHouse 16 shot for 10 seconds every 30 minutes. There are 45 posts and 82 comments so far.